This level has medium difficulty and you need to use good technique to chew the bubble gum. 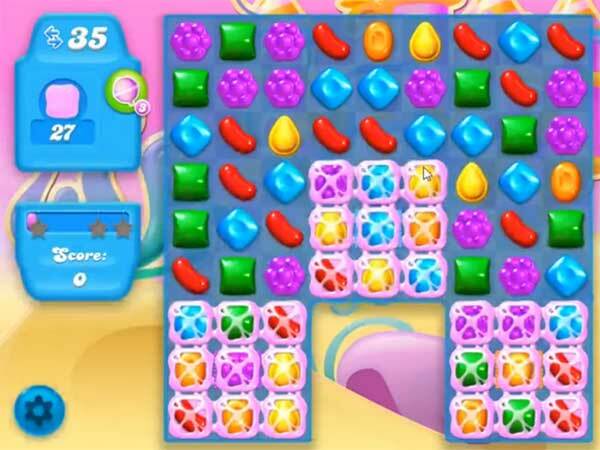 For this level try to play near to bubble gum to chew them or else they will block other candy or make special candy as you get the chance. Like make colorbomb by combining five same color candies and combine colorbomb with striped candy to chew more gum within few moves. After play near to remaining gum to chew them to reach the target.